It's been nearly five years since we visited Filter Forge 2.0 and a lot has changed in that time with even more user friendly adjustments such as Pixel Awareness, Map Switch, Randomisation Enhancements and a new Modulo component to name just a few. The full flexibility, inviting forum boards and enticing rewards scheme were some of the things that interested us back in April 2011. In this full review of Filter Forge 5.0, we'll see if the product and community are just as compelling today as they were back then. The previous options to buy Filter Forge are still available in the Basic, Standard and Professional editions and now there are two extra Professional Plus and Professional by Subscription options. Filter Forge 5.0 Basic costs $149 (approx £102), Standard $249 (approx £1710) and Professional $399 (approx £275) while the Professional Plus will cost you $828 (approx £570). To get the program by subscription, you pay quarterly at $49 and a new licence key is issued each time. It seems a little odd to have to reissue a key, but it means that should there be an upgrade, you will get it with the new key and you don't have to pay for that. 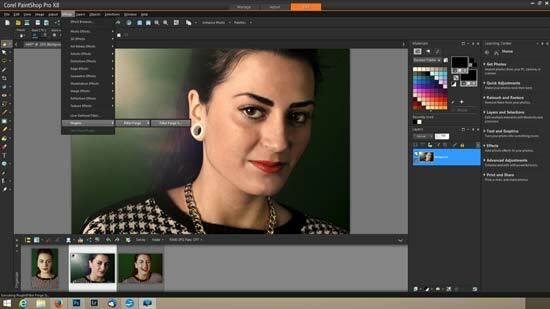 If you're unfamiliar with Filter Forge, it's a filter plugin for Photoshop or PaintShop Pro. It runs differently to other programs in that you get to create your own filters. Now, many other filter programs will allow multiple layering of various filters in order to create a unique look, but none work the same way as Filter Forge. There are also over 11,000 filters to choose from and a thriving community to get involved with. If you're a little tech savvy, you can contribute to the list of filters and if you do, you get to use Filter Forge for free as part of a rewards system. In order to get Filter Forge 5.0 running, you must first have a picture open in your editing suite. Once it's open, in Photoshop go to Filter, Filter Forge, Filter Forge 5. 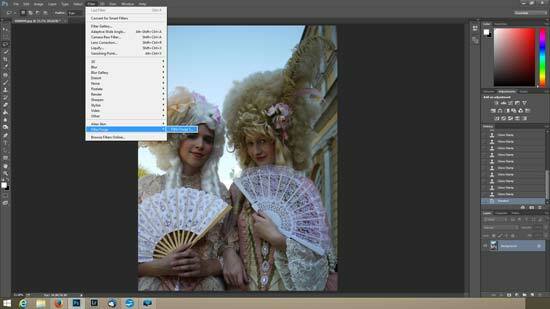 In Corel, open the image, go to the Edit module, Effects, Plugins, Filter Forge, Filter Forge 5. The program looks the same regardless of which host program you use; as are the available features. 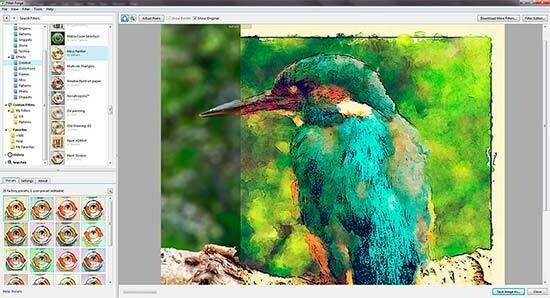 Being a program designed not just for photographers, but for anyone that may need some kind of fine tuning to their digital imagery (Graphic Designers and Artists to name just two), Filter Forge 5.0 isn't strictly a photography filter application. In fact there's only one folder out of 15 that is dedicated to be used in photographs (although other applications are also available to use). In this folder – appropriately titled “Photo” there are 10 options and each of these has several presets in order to get you going. Now these presets can be a little overwhelming to the photograph you've chosen and even in some case, garish. The beauty of Filter Forge though, is that you can edit them in the Filter Editor or even create your own. To create your own filters, Filter Forge 5.0 uses a node based system whereby you have to describe what actions you want the program to take in order to get to the end result. You do this by going to Filter, New so that the Node Editor opens up. For photographers, the best way to start is by opening an Image component. This is the starting point and the selected image will appear in the thumbnail box. No changes can be made on the Image component, you have to add others to it. For our vintage framed image, we added a frame, created the basic setting for it, added a Tone Curve which could be adjusted with a Curve Control component, desaturated the image slightly and then latched that to the Result component. Until you get used to the system and what each component does, it can very much be trial and error. There's a handy slider for before and after effects which you can use by clicking the “Show Original” radio button towards the top of the window. Enhancements have been made to the Randomisation functions as part of the new features on version 5.0. Changes include a lock that allows you to set certain areas so that when you do use the randomisation, it doesn't change the settings that you've previously made. This in turn opens up even more alternative results on the randomiser. You can also rondomise a particular parameter by right clicking on it and choosing Randomise. Finally, the randomise settings have been changed. They've been steamlined and the Parameters to Randomise have been removed. Instead – along with the previous Randomisation Level – you can now unlock all locked parameters or set them to default if all are unlocked. There's a Help option if you get stuck at any point. One of the other new features that could directly benefit photographers is the new addition of the Map Switch component. 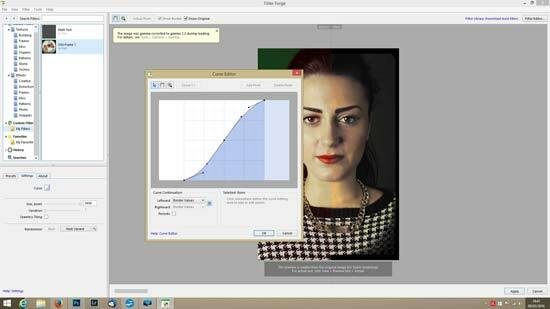 This function allows you to adjust the source colours of the image via Colour Control components. The image would be plugged into the Selector option with various Colour Controls plugged to the Source options. 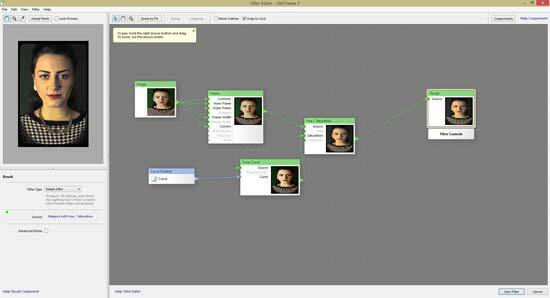 There are a multitude of other functions that the Map Switch component can deal with as well.